Then again, this is not the first time he’s done a “what the hell?”-kind of MV. …Why do I feel so bad for writing that sentence? It feels like I broke an unwritten rule that states that you can not write anything negative about the great founder of k-pop! I just did something very sacrilegious, didn’t I? It would probably also be very sacrilegious if I said that the dancing Seo Tajians (that’s what I’m calling the dancers!) look like they’re doing some new kind of retro space-alien aerobics? So I’m not gonna do that. Watch Seo Taji’s Human Dream MV HERE, with no space alien aerobics-dancers whatsoever! 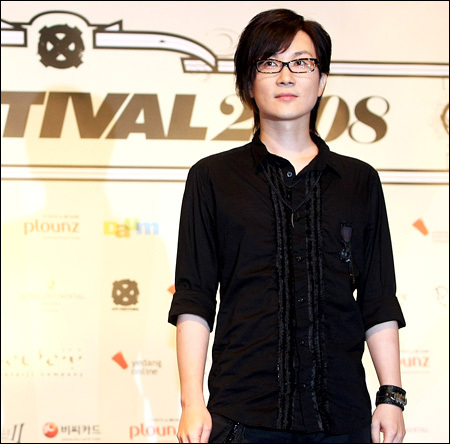 Seo Taiji goes White Stripes! Seo Taiji released his new mv for Bermuda (Triangle) yesterday. The video looks like something a Visual Kei group could have produced and the song reminds you of the japanese group ELLEGARDEN’s songs (or at least I think so). But still I really like the video and the song is kind of catchy. Besides I think it’s nice that for a change listen to Korean music that is not hip-hop/boy-band. EDIT: Now that I think about it there are some part in the video that is extremely similar to The White Stripes Blue Orchid . The swing, the girl that walks with those scary shoes, the snakes etc. 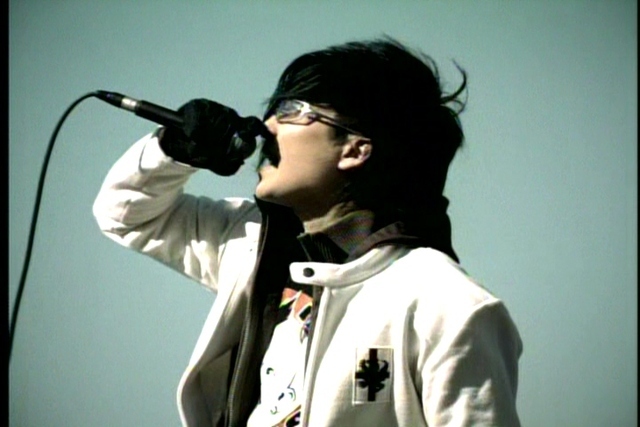 Seo Taiji “T’ik T’ak” Music Video! I’ve never been too interested in Seo Taiji, but this song may actually change that. If you look besides that the concept for the video was pretty scary and made me think about Dir en Grey‘s Obscure MV (which is the world creepiest music video in my opinion), the song was actually pretty good! Who would have thought that Koreans could be so rock-ish? 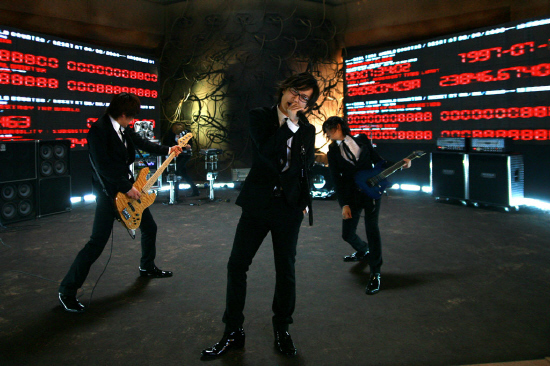 Check out Seo Taiji‘s T’ik T’ak ( 틱탁 뮤비 ) music video HERE.